Well that was quick. Another update has been added to the Pacific Rim viral campaign and it gives us a look at the scale of the fearsome Kaiju and the giant human-piloted Jaegers that are forced to fight them to defend our safety. It appears that this new video has a connection to the emergency warning alert system that was released early this morning. 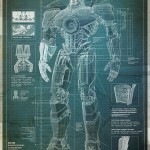 We also have a blueprint model of the Jaeger robots. Check it out below. This new video that has surfaced gives us a quick look at the scale of the Kaiju and just what these beasts are capable of. Unfortunately the Kaiju are extremely hard to make out due to the quality of the video. But this is all just a simple tease. 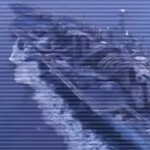 The header image appears to be a Kaiju strapped to the deck of an aircraft carrier or one of the Jaegers. It is presumed that what the timer on the Pan Pacific Defense Corp. website is counting down to is the release of the full trailer, which will premiere before the showing of The Hobbit. 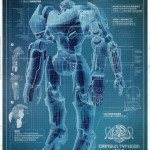 There is also a blueprint of a model Jaeger named Gipsy Danger. 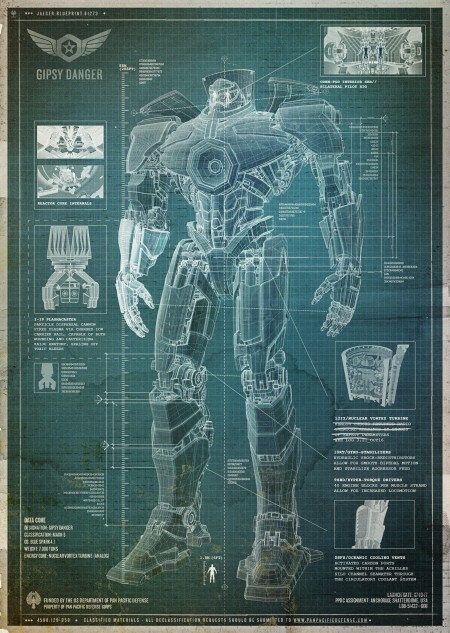 The info provided on this blueprint include the scale of the Jaeger, what it runs on, weaponry, and a look at the cockpit. 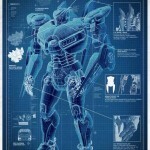 Click on image for a larger version of the blueprint. What I like about these Jaegers is that they are pretty simple and not as sophisticated as some of the mecha that you would see in a Japanese anime, but the inspiration is there. 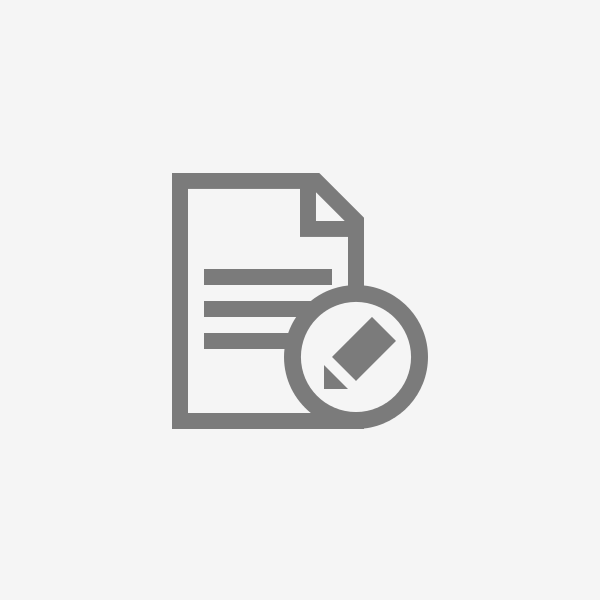 This latest update shows us that this viral campaign isn’t just a simple web page posted with sporadic updates, there are news clips, memos, and blueprints, and that is just the tip of the iceberg. I am crossing my fingers that there will be some sort of kaiju attack drills held in major cities. I mean it helps to be prepared when the Kaiju do attack right? 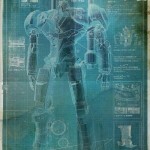 UPDATED: Four more jaeger models have appeared online, each of them originating from a different nation. China has the Crimson Typoon; Russia built the Cherno Alpha, Japan has Coyote Tango; and the Striker Eureka defends the Australian nation. The weaponry may be different for each mech, but the piloting system and cockpit are very similar. 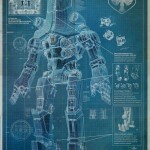 Guillermo Del Toro‘s Pacific Rim opens in theaters on July 20th, 2013.